The iPhone XR, Apple’s new lower-priced iPhone option that starts at $749 for a 64GB model, is now available to preorder online (apple.com or the Apple Store app) or by walking into an Apple store. Just for the iPhone XR, Apple’s selling a clear case for the first time, so you can show off the new colors while still protecting the glass back. The iPhone XR offers a lot of the same specs as the iPhone XS, namely the same A12 Bionic processor and primary camera, but has a 6.1-inch LCD screen instead of an OLED screen. It also doesn’t have 3D Touch, nor the secondary telephoto camera and the stainless steel frame of the iPhone XS and XS Max, but it does feel noticeably lighter. 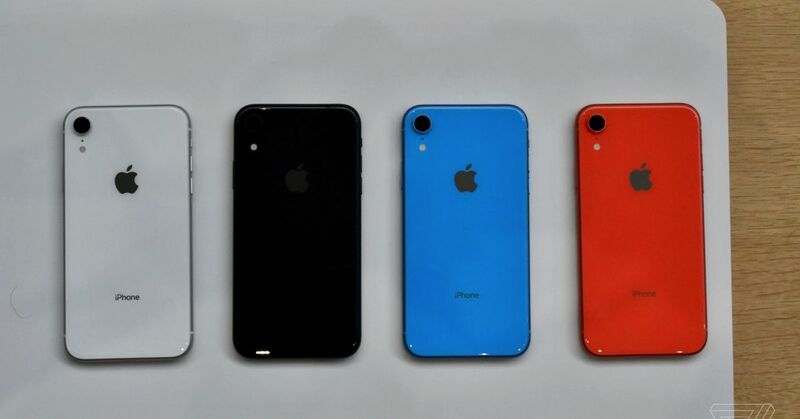 Given its price point, the iPhone XR is essentially the successor to the iPhone 8, and early forecasts predict that it may be the more popular model sold.